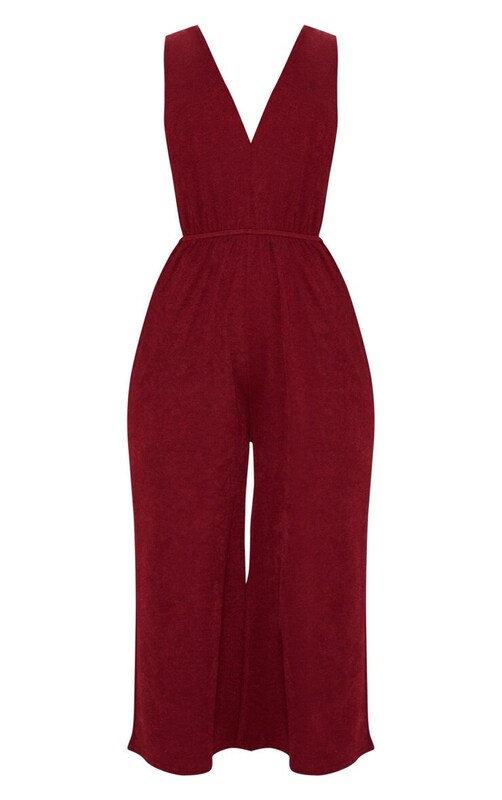 Steal some stares in this jumpsuit. It features an elasticated waistband, V strap, culotte leg in burgundy. Team with gold strap heels and statement heels for a look we're loving.